Well, admittedly, having now seen The Revenant three times, every movie pales in comparison. Especially any Michael Bay movie. 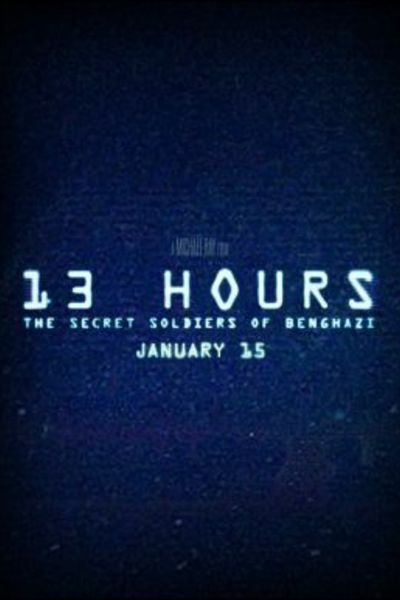 But 13 Hours is very good entertainment; well done and committed to truth-telling without over-dramatizing via too many cheesy lines. It falls three hard notches shy of something like American Sniper or Zero Dark Thirty or The Hurt Locker, but it's in that vein. Or, aspires to be. More bombs and blasts, though, and no Oscar-worthy performances, but it's nonetheless very patriotic and provocative. Lauren and I saw it and, when it was over, lots of folks clapped. And cried. It provides some neat factoids at the end, the sort that make one want to salute and, as always, give thanks. Lots and lots of thanks to our veterans and those who serve in harm's way all 'round the world to keep us safe and to advance personal and political freedoms.